As usual, I have a bunch of books in process. and Silvia Cachia (great input and resources). The Goose Fritz is about national history and personal identity. I enjoyed a lot Oblivion by the same author. 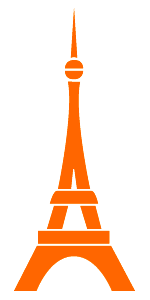 La Vie mode d’emploi is a major book in the Oulipo movement. Take a Parisian apartment building, tear off the front façade, and describe all you see in details. It’s a bit more than that, but that’s basically what it is. Actually captivating. Cocktails With a Dead Man: a collection of poems. Earthen Vessels: on how to pray, based on the writings of the Fathers of the Church. Since the Benedict monk wrote this book, he became Orthodox Christian. Like many scholars deep into Patristics. “A librarian’s discovery of a mysterious book sparks the journey of a lifetime in the delightful new novel from the international bestselling author of The Curious Charms of Arthur Pepper” – which I enjoyed a lot. Sounded too much fun to resist! Has been on my TBR for far too long. However, this list may change, as I’m going this year to be again part of the Shadow Panel for the Man Booker International. I did it in 2015, when it was under another name, and really enjoyed all the great international books I discovered though this. I should be able to tell you more about this in a couple of weeks. I really enjoy Laurent Binet‘s writing, but I have not read this one yet. As mentioned above, I’m going to have to prepare for the Man Booker International Shadow Panel. I have recently read 5 titles that could be eligible, so I think they are on the long list. There’s also March Mystery Madness soon. If it’s not too much, I’d like to participate a bit this year. The announcements should be posted soon. Don Quijote, with Nick at One Catholic Life and Silvia at Silvia Cachia, this will extend into May. So I actually read much more than it looks right now, as I only count a book when it’s finished. I have listened to another long classic, see below, and otherwise read an interesting variety of books. Apart from that, I’m very happy for all the reviews I have recently posted, catching up quite a bit. And I launched a new meme! Did you check it out? Now, I’m considering launching a French Book Box. Does this sound interesting to you? Any thought on that? 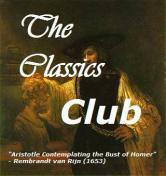 Classics Club: 26/50 (until end of 2020) or 41/65! How was YOUR month of January?